Indoor, or attic, antennas have several advantages: (1) no rain, no corrosion, no wind damage, (2) little possibility of lightning strike, (3) no problems with property association communists, and (4) no need for trees or other external supports. It’s possible to make a multiwire dipole out of 4 or 5 conductor TV antanna rotator cable. This type is a flat ribbon wire. Since it isn’t very strong, it must be supported at frequent intervals. This means we can string it through our attic, diagonally, hanging it on the undersides of the rafters with bent nails. 1 (top) 05.90 MHz (49 meter) 17.70 MHz (16 meter) 468 ÷ 05.90 = 79′ 3" 39′ 6"
2 07.20 MHz (41 meter) 21.60 MHz (13 meter) 468 ÷ 07.20 = 65′ 0" 32′ 6"
3 09.75 MHz (31 meter) 29.25 MHz (10 meter) 468 ÷ 09.75 = 48′ 0" 24′ 0"
4 11.85 MHz (25 meter) 468 ÷ 11.85 = 39′ 6" 19′ 9"
5 15.30 MHz (19 meter) 468 ÷ 15.30 = 30′ 6" 15′ 3"
If you can’t get in the attic, you can lay it on top of the roof. Bring the coax out through a ridge vent, if possible. Waterproof the connections. NOTE: If you don’t want to build it, Radio Shack sells this type antenna for about $35 (+ coax). The 2 parallel legs would only cancel at the frequency where they’re a half-wave apart, which at 40 feet would be about 12 MHz. But then, the inverted v part would be a half-wave dipole at about that frequency, so it would still work. As for the gutters, they may or may not present a problem, depending on how close the wire is to them. Indeed, one might even put a dipole on the gable and connect it to the gutters. Nowadays, the problem with attic, roof, and eaves antennas is all the electronics noise in the house, so it’s better to get it away from the house, if possible. Thanks for the quick reply. As for noise, noise isn’t too bad (lots of birdies), using a “gutter antenna” setup on the right side of the house(looking from the rear) where my shack is. My bigger problem is that I’m a few miles away from a multi-station FM broadcast tower, three of the stations running more than 90KW. Living in central Florida, I think my best bet is the center fed dipole shown on the left, except it would be strung in the opposite direction, pointing SE to NW, so my perpendicular reception would be SW and NE. I should get most of the South and Southwest, Northeast and Europe, but the Midwest and Northwest is off the end. I’m not a real fan of draping and antenna on the roof, especially with the feed point and coax visible (remember HOA). I could also do an end-fed or a off center fed dipole, but those really changes my receiving lobes to mostly radio dead areas, I also considered an active vertical, like the MFJ-1024, but from what I read, this and just about all active verticals are a real compromise/last resort. Can you just run a insulated 14ga. copper wire around a patio cover approx. 20X10 rectangular 10′ high. Run the wire from the sw receiver around the patio cover fastened with insulated nails. This an open ended antenna. It seems to work well with my Grundig Satellit 750! This antenna is as basic as it gets. My one question would be? Should I connect the open end back to the receiver to complete circuit or leave it open ended? You just have to try it both ways and see. I think you’ll find it a little quieter as a closed loop since that dissipates any static build-up. Every SW antenna is an experiment. Thank you for responding! I do appreciate the input! Experimentation with shortwave listening antennas seems to be the name of the game! Wow. What a wealth of information! Wanted to know a couple of things about this antenna. 1. I am assuming that I ground the shielded part of the coax connected to the dipole (even though one of the legs of the antenna is connected to the shielded connection). 2. Can I buy a balun for this that will help defeat some RF interference? Will be placing in attic. What distance would this type of antenna need to be away from a metal roof to work efficiently? As far away as possible. You’ll need to string up a dipole or long-wire between trees, or atop a wood fence, etc. Better to center-feed the dipole. Also ground the braid at the radio end. Still gonna be noisy tho — so many home electronics nowadays using dirty wall-warts & such. This is a cool design! I can wrap this under and around the eaves of my house. Have been out of SWL since the early 70s and getting back into this since retiring. I use to run long wires back then, space is limited now. I just refurbished a Hallicrafters SX-110 receiver and was wondering if I could use 300 ohm ladder line for feed? Yes, you can, and since LL has almost no SWR-induced losses, you don’t need the dips provided by the 5 resonant wires. Just make a regular dipole, long as you can fit. See also my ladder-line article. Will this indoor/rooftop multiband dipole work well without some kind of balun? I have read just enough about such things to be dangerous. I would be connecting the coax to a restored 1938 Zenith Long Distance. Thanks! Great article! Yes, it’ll work fine without a balun. I started out with a Hallicrafters S-38..
That thing would pick up cold-war propaganda from every corner of the world, then shock the crap outa ya just for fun! I also had a Hallicrafters S-52 that I dearly miss. Yeah, listening to smooth talking Radio Moscow propaganda in the ’60’s was quite an experience! Sorry, I forgot to thank you for your reply! Can’t make out how the dipole is attached to the coax? I’m new to this. It looks like one side is attached to the center and the other to the shield? The antenna wire goes to the beveled tip connection of the jack. That will be the center conductor of the cable in your picture. The shield should be grounded, or if you’re putting up a dipole, to the other half of the dipole. But you responded to Rodm above to connect one side of the dipole to the center and the other to the shield. I’m building a new home and want to get this in the attic soon. For a dipole, should I just connect both ends of the dipole to the center wire of the coax in the attic and then the center wire to the small plug to go into the radio. No. Connect one side of the dipole to the center of the coax, the other side to the shield. In the small plug, connect the center of the coax to the “tip” connection, and the shield to the “shell” connection. If you were to run a long-wire (a monopole, not a dipole), you’d connect it to tip and connect shell to ground. Do you have a picture / plan of the antenna above for 6 & 10m with a balun? No, just make crossed dipoles, one for 6 and one for 10, connected to a common feedline. I really like your site! Good info for the novice. Definitely appreciate the antenna information, and plans for setting one up. 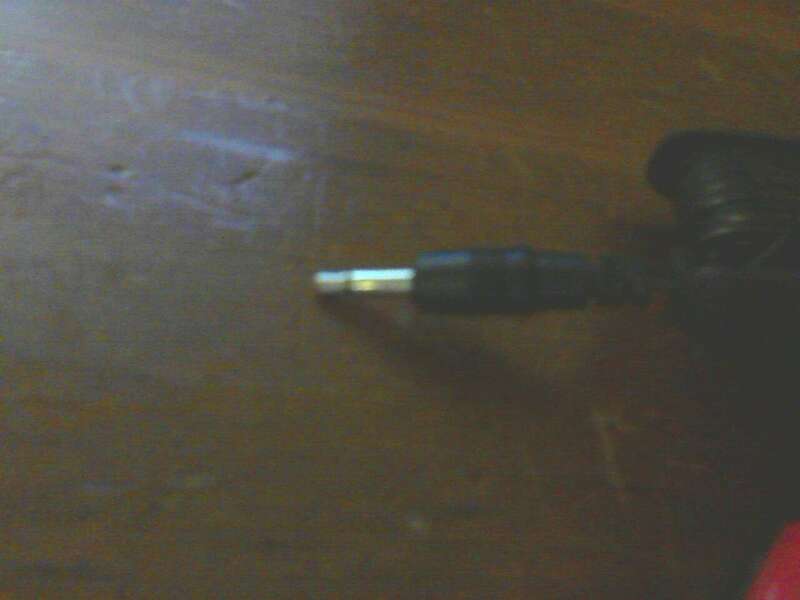 My radio has an antenna jack that looks like a regular headphone jack, which wire do I connect to the ending bevel and which to the larger portion. I have a Tecsun PL-660, if that matters. Does it matter at all? Probably a dumb question,… But the attic ribbon SW dipole antenna you describe, can it be used for transmitting,… Also, would the 3rd harmonic from the 19 meter band work for transmitting and receiving on 6 meters? Yes, with a tuner, but not very well. I don’t think you’d be happy with the results. Multi-band dipoles made of ribbon don’t radiate very well, as the wires are too close and tend to cancel each other. Better to use individual wires and fan them out, or perhaps just add a 6M dipole to the ribbon’s feedpoint and run it perpendicular to it. Also, transmitting in an attic is pretty lossy, with metal ductwork and house wiring eating up considerable RF — and getting interference into various electronics.